Take advantage of being by the water’s edge and next to the mountains at Neuadd Kiffyn. Sail in the morning and go mountain climbing in the afternoon. Go for a run along the waterfront or enjoy an ice cream and a stroll along Garth Pier. Spend the afternoon sipping tea with fellow students in the fabulous Blue Sky cafe before having a cultured afternoon. Discover Bangor’s storied past at stunning Penrhyn Castle and admire amazing artworks and artefacts at Gwynedd Museum and Art Gallery. 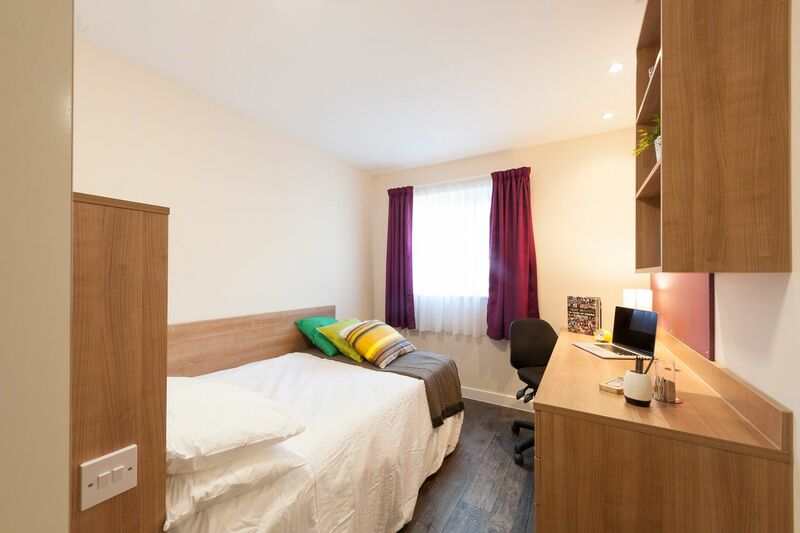 Less than a 10-minute walk from Bangor University, Neuadd Kyffin is a great base for your studies in Wales. 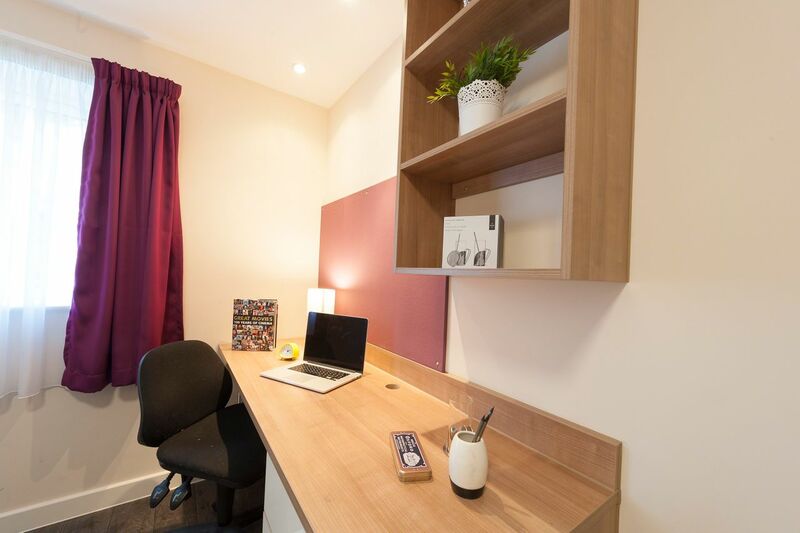 Whether you want to share with friends or rent your own studio, Neuadd Kyffin offers spacious accommodation right at the heart of the high street. Everything you’ll need to make the most of your student experience is close by, from cool bars and lively student hangouts to quirky cafés. One of the best pubs in town, The Old Glan, is just a 4-minute walk from home. 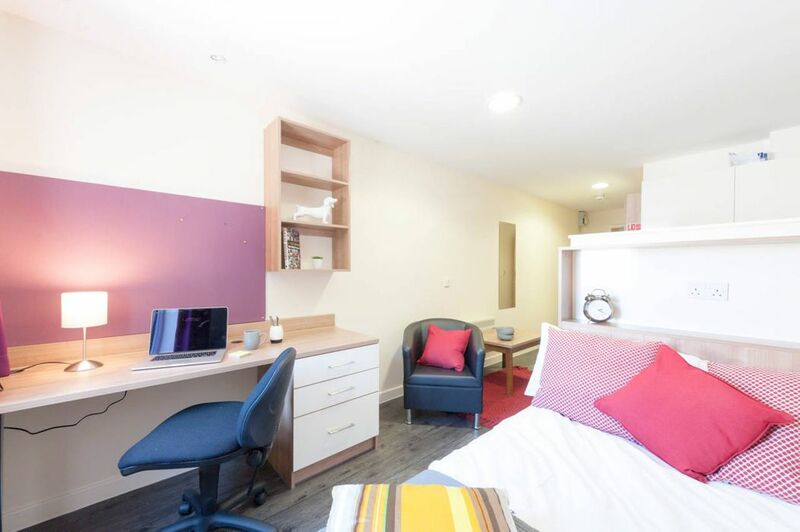 Back at Neuadd Kyffin, you can look forward to coming home to buzzing social spaces where you can meet up with friends and classmates to study or catch up on the day’s events. Being so close to university means you can chill out here between lectures with friends, unwind on squishy sofas, watch a movie after a long day or have long chats over tea. Go back to your apartment to relax in your bright, colourful bedroom, with a comfy double bed. Work on your assignments at your personal study space or have a hot shower in your ensuite before going to the fully-fitted kitchen to whip up dinner with your housemates. If you choose a studio, you can make your favourite meals in peace or ask your friends over to dine. Book Now and Save!Book a Room Now and get £250 Cashback! We couldn't find a room that matches your preferencesView all Private Room in Neuadd Kyffin. We couldn't find a room that matches your preferencesView all Entire Place in Neuadd Kyffin. If you need to cancel your reservation, please apply within 72 hours after the deposit is paid, otherwise the deposit cannot be refunded.